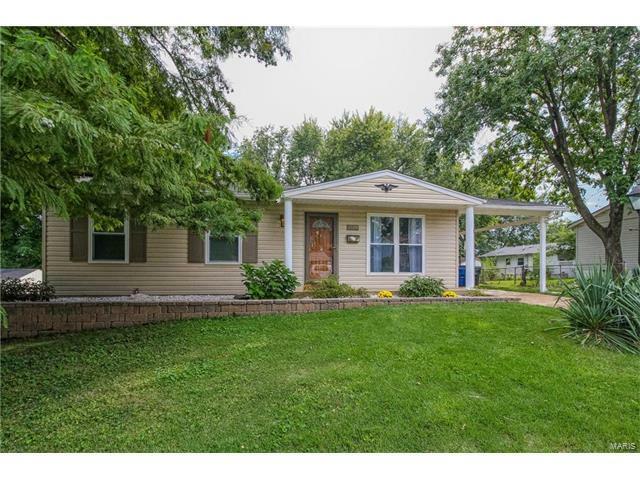 Beautiful 3 bedroom ranch with updates around every corner. This home is completely move in ready. Fresh paint, new carpet, remodeled bathroom, new basement ceiling, new plumbing stack and drain, and that was just in 2017! This home has been lovingly maintained. Other updates include newer siding, water heater, electric box, newer Thomas Windows (triple pane glass, low E Argon gas), HVAC, and sewer lateral line. The main floor features 3 nice sized bedrooms and a light filled eat in kitchen with updated cabinets and pantry. The lower level boasts a wood burning fire place bonus room and additional sleeping area. There is also a rough-in for an additional bathroom in the lower level. This home also sits on one of the nicest lots in the subdivision! Close to parks, the Hazelwood rec center, and schools, this one is a must see. Make your appointment today!